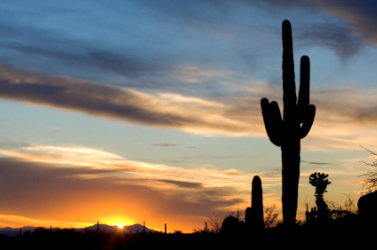 The Tucson Area provides primary care and community outreach programs for the Tohono O'odham Nation (to.ho.no aah.tum), formerly known as the Papago, and the Pascua Yaqui Tribe (pah.skwah ya.ke) of Arizona. Simply put, the purpose of IHS is to lift the health status of the land's indigenous people to the highest level possible. Delivery of health and medical services of IHS is managed through local Service Units organized under the administration of Area Offices. Each Service Unit serves a specific geographical and tribal sector, working closely with tribal governments and officials to enhance their people's health and,therefore, their lives.